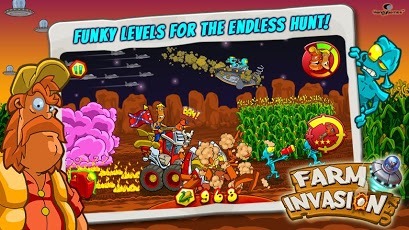 Fight off the Aliens and protect your farm in the full version 1.3.4 of Farm Invasion USA Premium for Android. This latest update added support for Android M and features some other internal updates. Download the game and save your land! 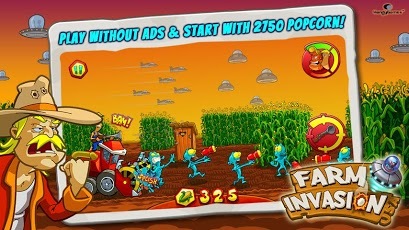 - Play without ads and start with 2750 Popcorn! 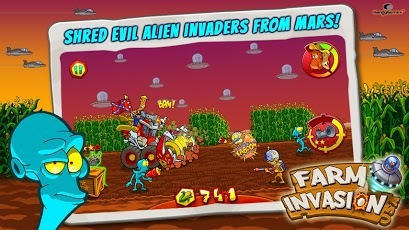 - Spaced out runner game featuring rednecks and aliens! - Powerful upgrades for your jury-rigged weapons! - Tons of tuning parts for your deadly harvester! - Collectable alien technology for cool power boosts! - Diary entries to enjoy the whole story! - Dozens achievements and challenges for endless fun! - Added support for Google Play game services. Sign in with your Google+ account to access online leaderboards and achievements.